The overall winner will hold the Senior Open Trophy for 1 year. Other prizes in 2 age categories, and hole prizes for nearest the pin etc. The competition will be held over 18 holes (stableford). Full handicap allowance. Enter as a group and choose your own start times, or as an individual and we will find a playing partner for you. 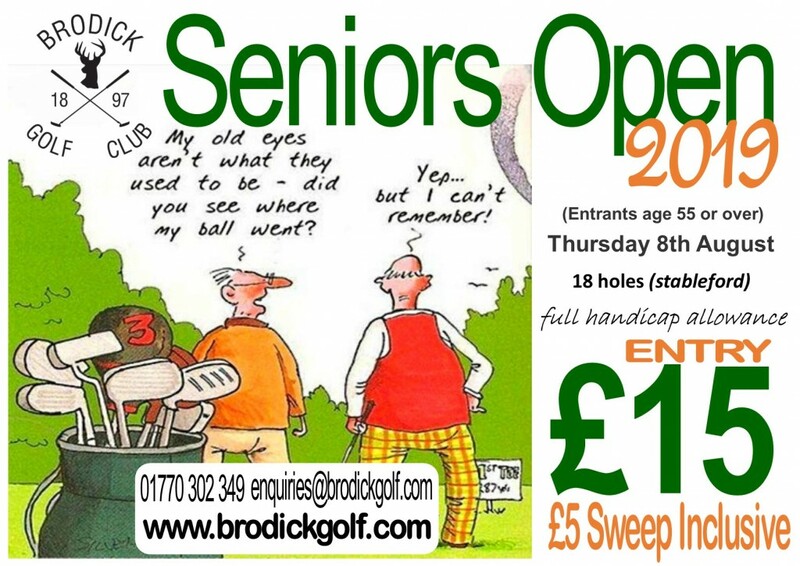 The Entry Fee will be £15, including a £5 sweep.